The middle of Autumn is a quiet time for flowering in the forest. Only about 10% of the 213 species of flowering plants on the block are in bloom. Furthermore, almost all of those are either nearing the end of their flowering or are only just beginning to flower. Insects and birds that depend on nectar or pollen for a food source are faced with slim pickings. One plant represents an exception to this pattern - the Prickly Broom-heath (Monotoca scoparia), comes into full bloom in April. This is a low growing shrub with narrow, spiky leaves. 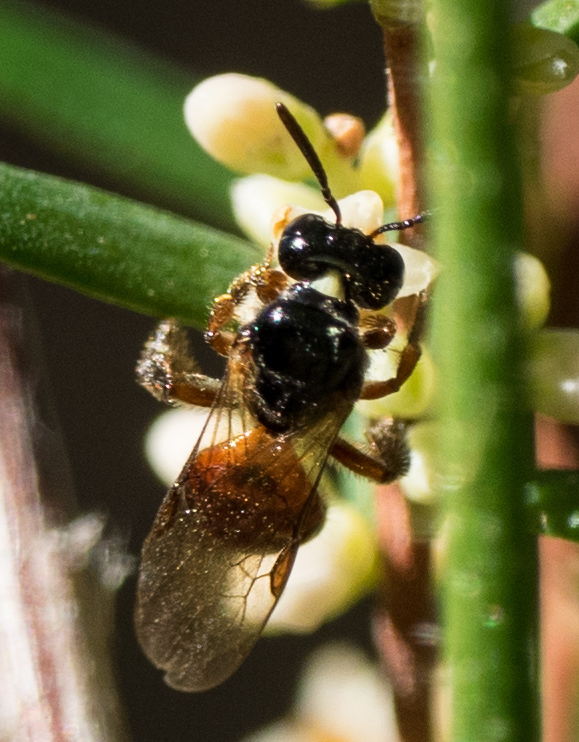 Its flowers are tiny - just 1.5-3mm long. As one of the few plants in full flower, Monotoca scoparia attracts a host of insects. The Common Ringlet (Hypocysta metirius) thrusts its proboscis into the corolla tube to access nectar at the base of the flower. 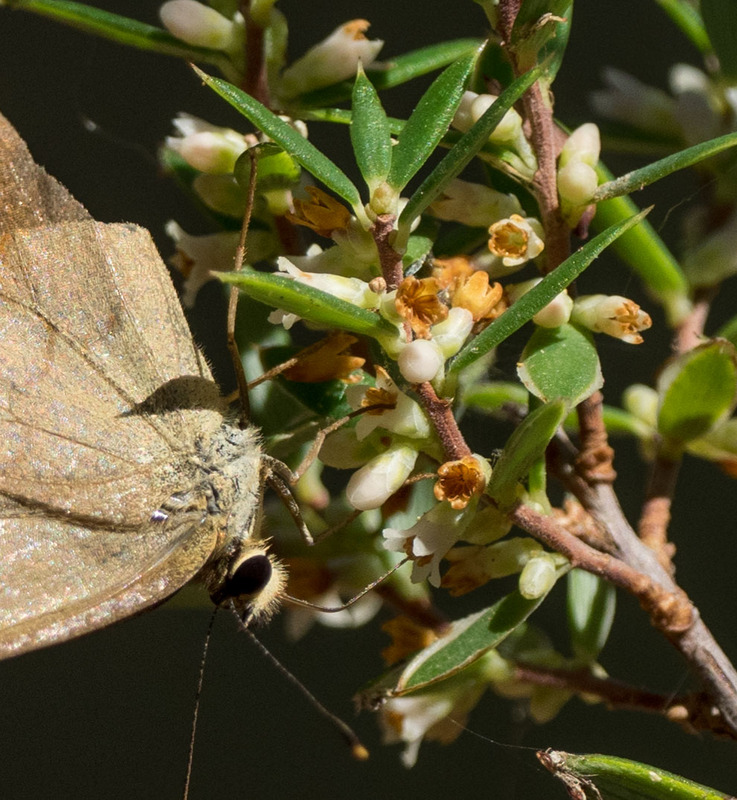 In a separate blog, Kerri describes how these bushes become battlegrounds for male butterflies as they compete for access to feeding females. 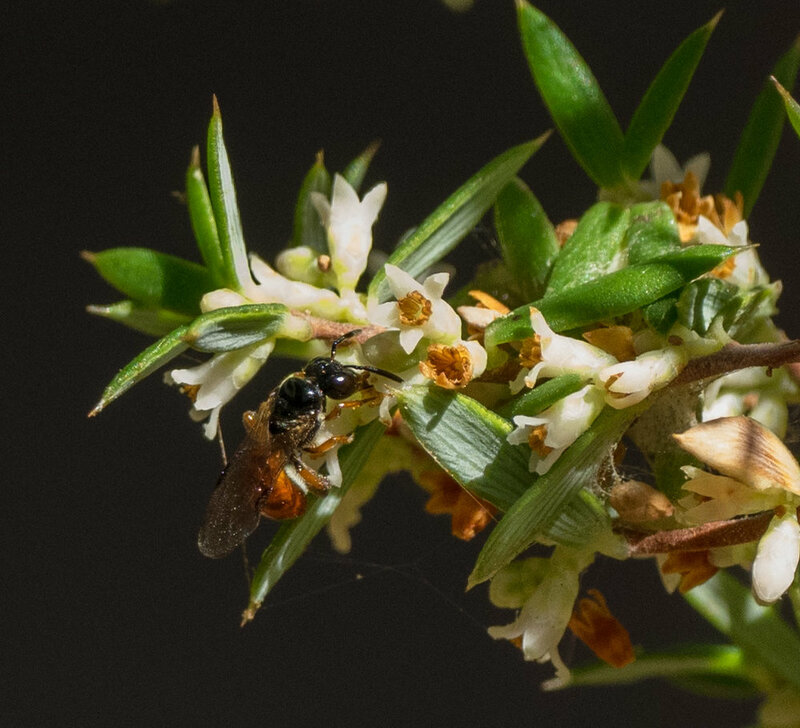 The flowers of Monotoca scoparia are too small for honeybees, but are a perfect size for tiny Exoneura bees. They gather pollen from the anthers in the top half of the corolla tube. Not a bee, but a Bee Fly (Geron sp.) - another insect taking advantage of the feeding opportunities at Monotoca scoparia.